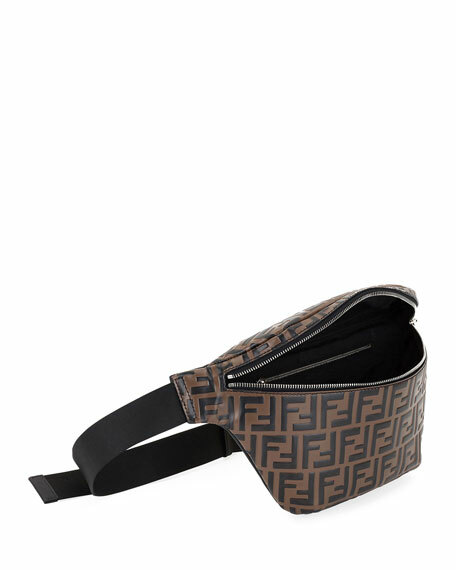 Fendi belt bag in FF embossed calf leather with silvertone hardware. 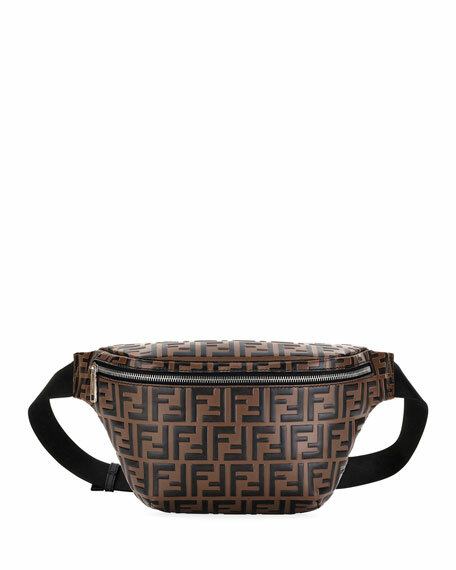 Balenciaga leather backpack with logo at center. Flat top handle. 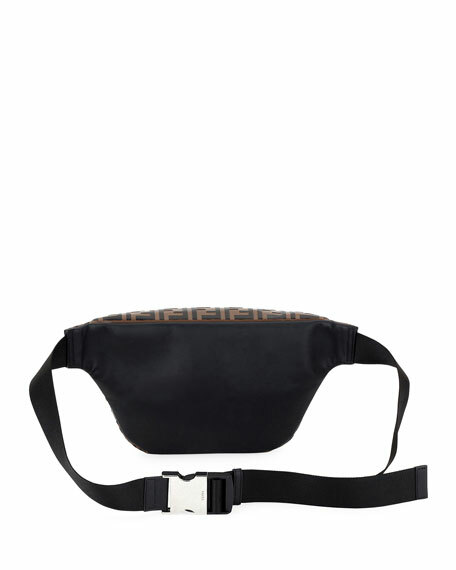 Adjustable shoulder straps. 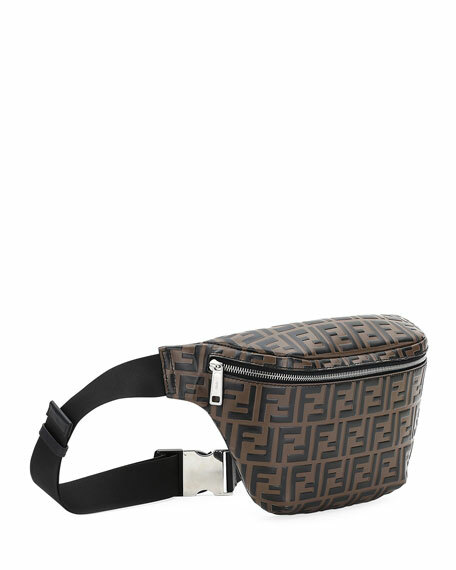 Two-way zip-around closure. Exterior, front zip pocket. 13.7"H x 9.4"W x 5.9"D. "Everyday" is made in Italy. 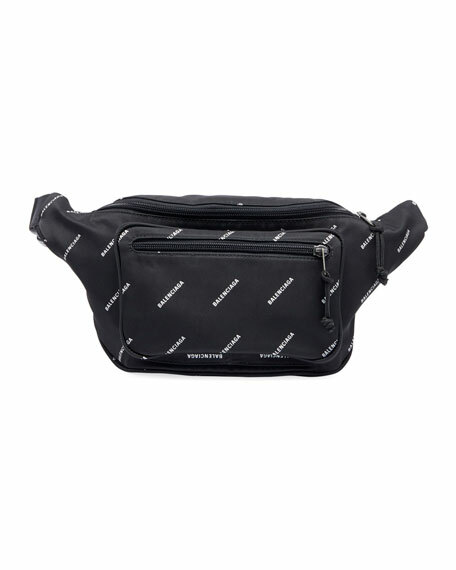 Balenciaga nylon belt bag with allover logo print. 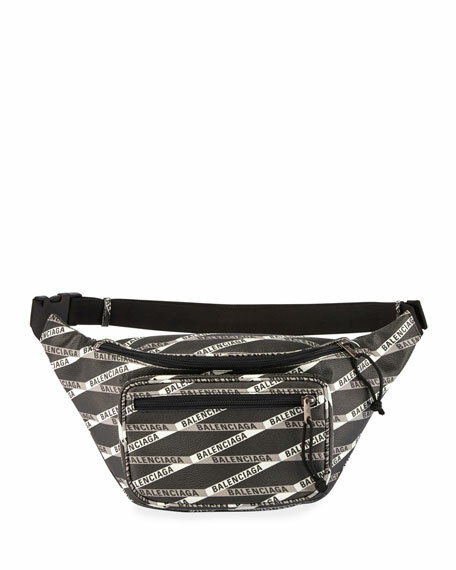 Nylon strap with plastic buckle closure. Top and front zip pockets. 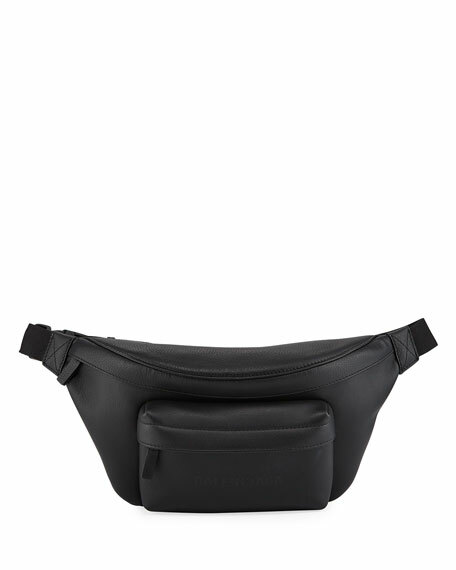 Zip around closure. Imported.